The Cumulative Flow Diagram (CFD) is one of the most powerful inventions in terms of process visualisations I have ever met so far. Coming from the IT community, its main purpose is to show how an IT project is progressing. Those projects are usually dividable into smaller work units (i.e. functionalities, user cases or histories) which follow a predefined workflow, containing steps like analysis, development, test and deployment. The CFD maps the quantity of those work units on a time axis. 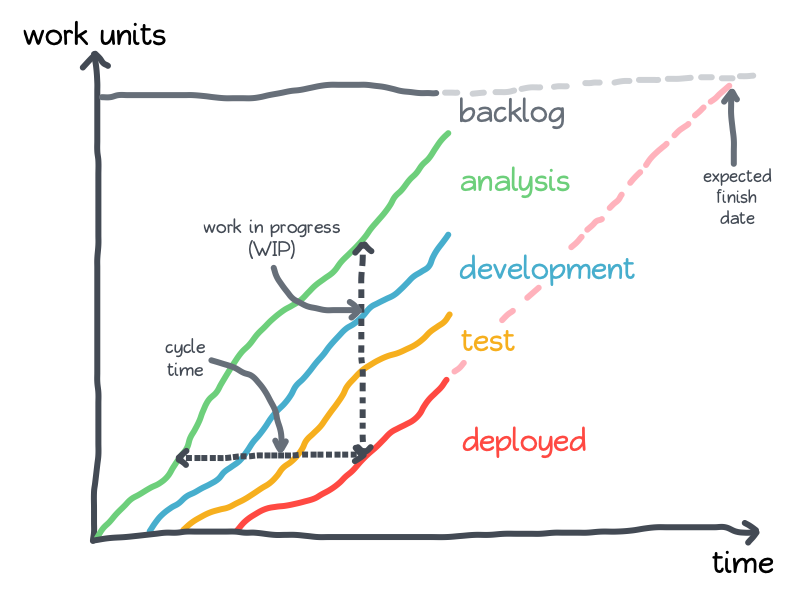 This allows for an estimation of expected delivery dates by projecting the intersection between the lines related to each workflow state with the backlog line on the top of the diagram. It also gives a quick view on the amount of work in progress (WIP) as well as cycle times, defined by the elapsed amount of time between analysing a work unit and deploying it into production. 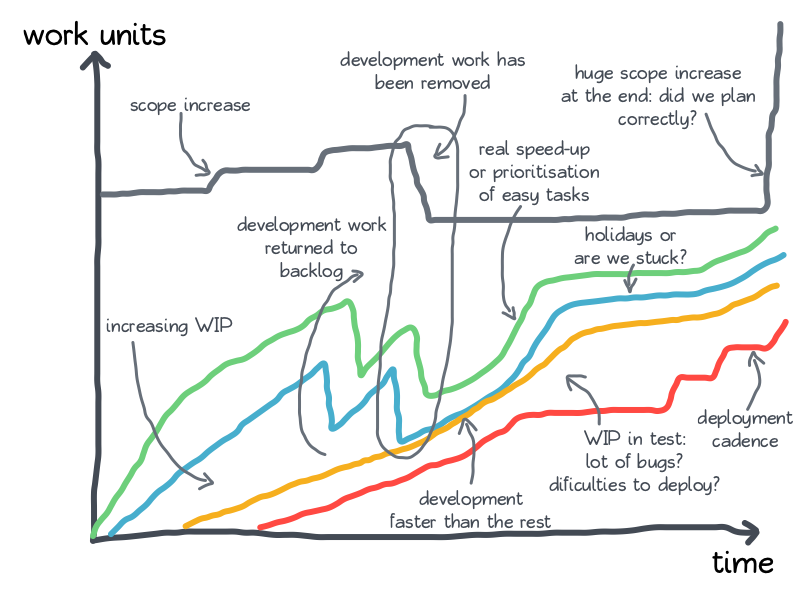 In general it can be seen as a upside-down Burn-Down-Chart with additional information about each step in the workflow. However, the fact that the chart is upside-down and that it visualizes each step makes it very powerful. Pavel Brodzinski wrote an excellent and extensive article about what can happen to your CFD. I tried to summarise most messages of this article into one (not so) simple diagram.